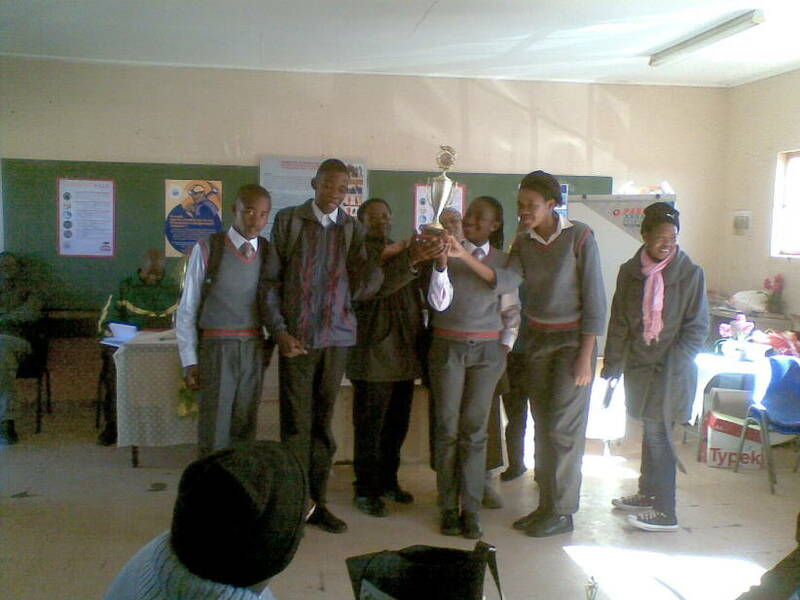 On South Africas Youth Day (June 16, 2015), a community asbestos outreach program in the former asbestos mining town of Kuruman brought together dozens of primary and secondary school children as well as school staff members to take part in an Asbestos Awareness Workshop.1 The days events were organized by the Asbestos Interest Group (AIG), a non-profit organization founded in 2001 by community members from the villages of Gamopedi, Ncweng, Sedibeng, Lokaleng, Gasehubane and Seven Miles in the John Taolo Gaetsewe District of the Northern Cape Province; each of these towns is suffering from high levels of asbestos-related cancers and diseases due to the Provinces asbestos legacy. educate participants on the regions asbestos history, the types of asbestos-related diseases and measures for preventing hazardous exposures. The children listening to presentations. 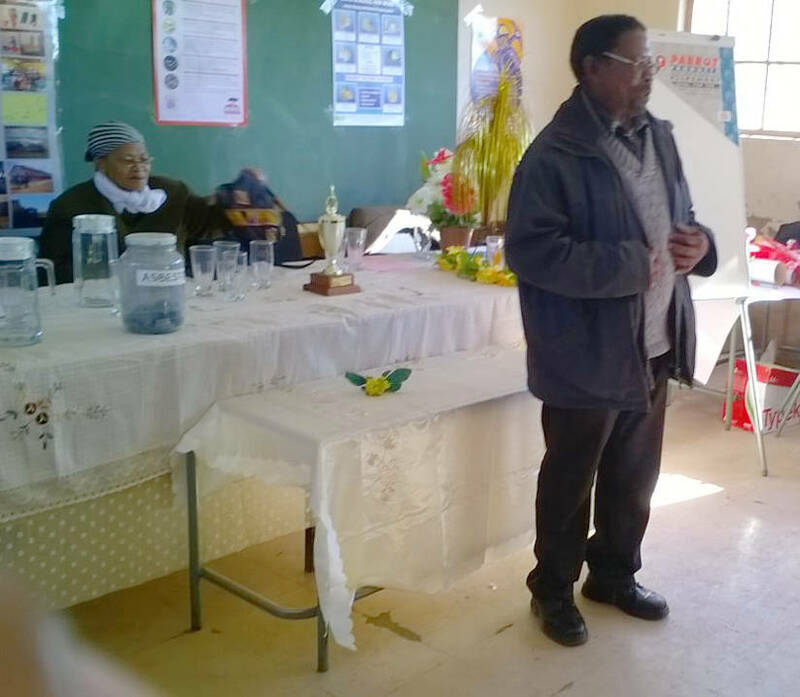 Presentations were made on the day by asbestos experts including activist Mrs. Mereeyotlhe, Chair of the AIG, and Nurse Magabanyane, who treats asbestos patients. 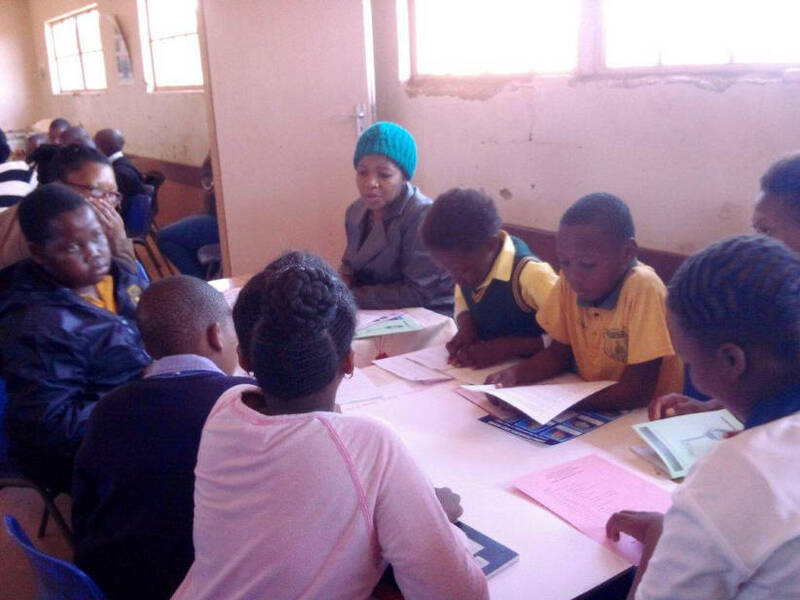 The children were given the opportunity to air their concerns about asbestos in group discussions and were provided with relevant written material to take away. 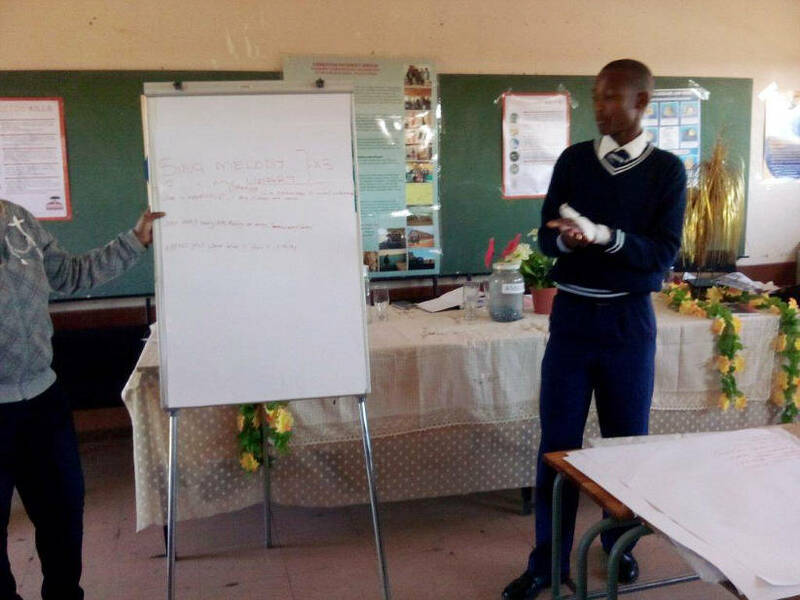 Sedibeng students discussing their asbestos presentation. A student from Khiba Secondary making a presentation about the dangers of asbestos and how hazardous exposures can be prevented. Prior to the workshop, students from seven schools had produced art work on asbestos themes which they were asked to present. Judges from three villages considered their submissions and awarded prizes to winning teams. 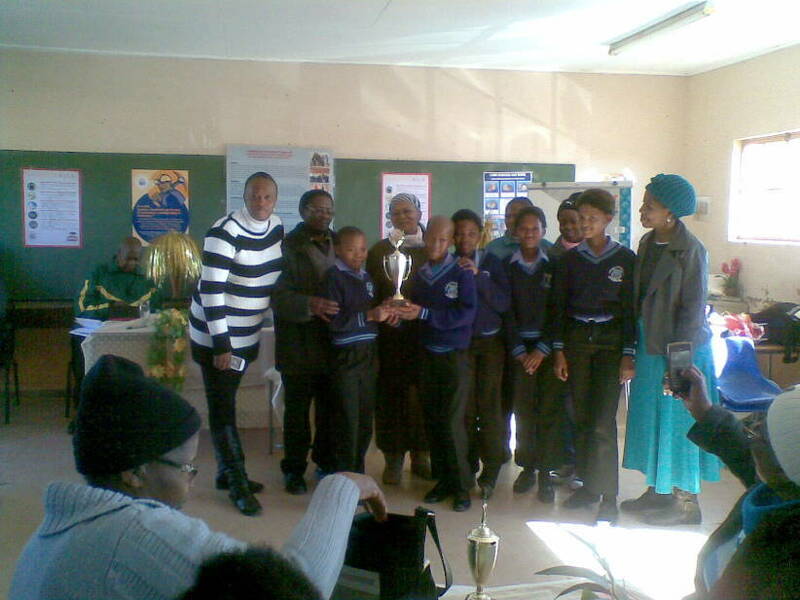 First Prize for Primary Level: Team from Sedibeng with their Trophy. 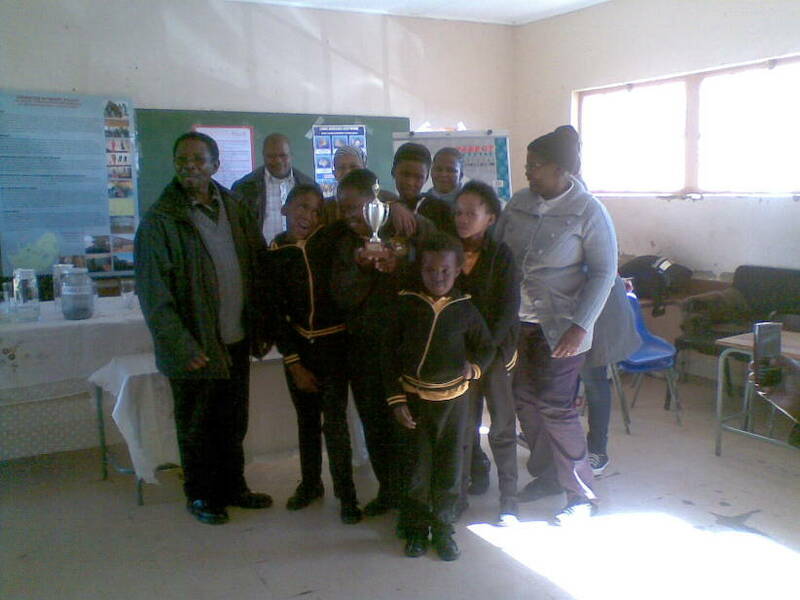 Second Prize for Primary Level: Team from Maipeing Primary with their Trophy. First Prize for Secondary Level: Team from Gamohana Secondary with their Trophy. Entertainment was provided by children from Neweng Primary who enacted a drama about the effects of asbestos on their lives. At the end of the day, children were provided with attendance certificates. 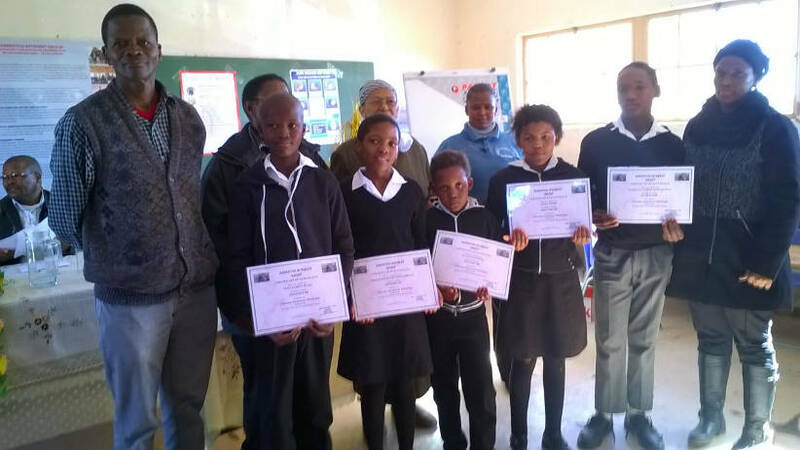 Masankong Primary students with their attendance certificates. 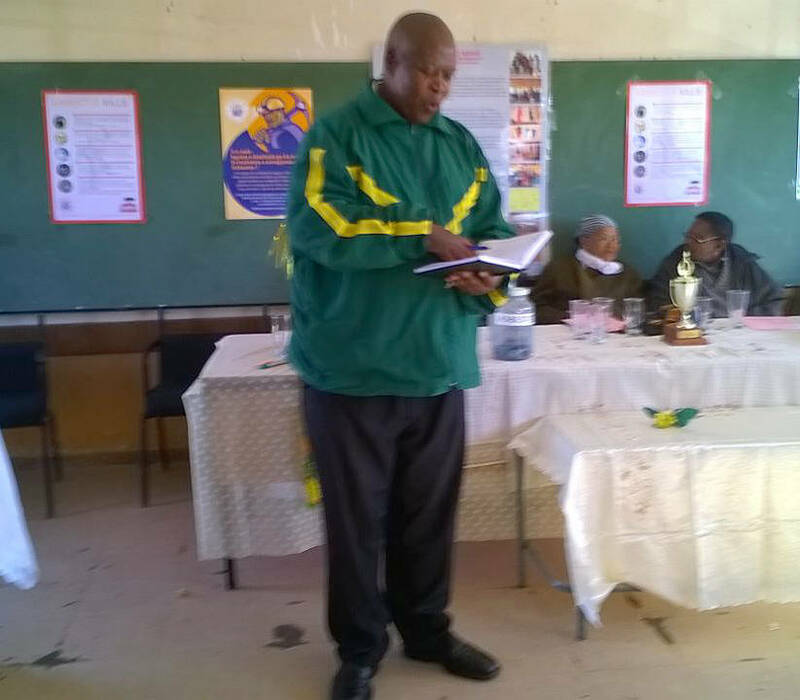 Principal of Reitemogetse Primary Mr Taunyane thanking the organizers. Information is power, it brings understanding, it brings change and with it we can make a difference. AIG believes that knowledge is power and with its power we can bring a better life. Asbestos pollution is a major problem in our area mostly in schools because they are built by asbestos bricks. We can only defeat this monster by standing together, spreading the message!! It is with great pleasure we thank the Asbestos Relief Trust (ART) for contributing information material that we used to distribute to the attendants. We were humbled by the contribution that was made by the International Ban Asbestos Secretarial (IBAS). It is with great gratitude that we thank the IBAS for their input and financial contribution to this event. AIG could have not managed without these organizations contributions. 1 Kazan-Allen L. South Africas Asbestos Crisis. March 12, 2015. 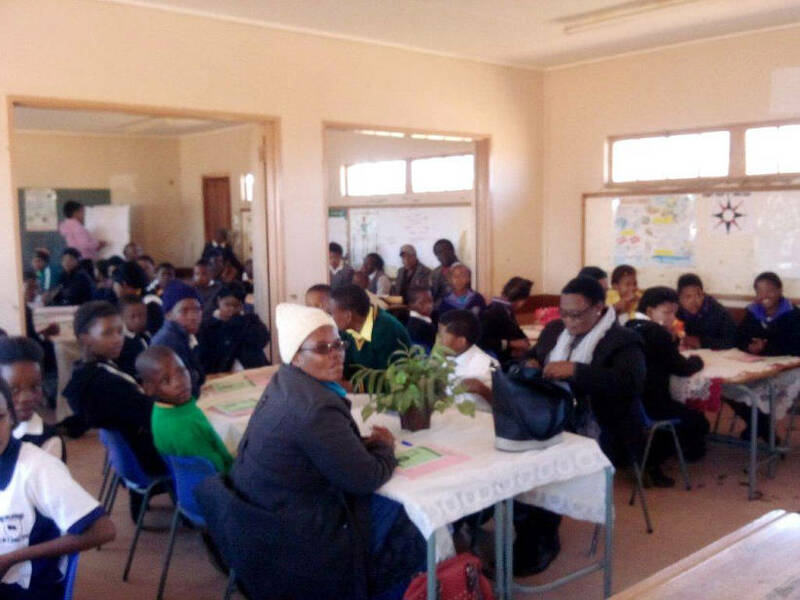 2 The 60 students were from the following schools: Gamopedi Primary, Ncweng Primary, Reitemogetse Primary, Maipeing Primary, Masankong Primary, Galotolo Primary, Ineeleng Primary, Sedibeng Primary, Khiba Secondary and Gamohana Secondary.